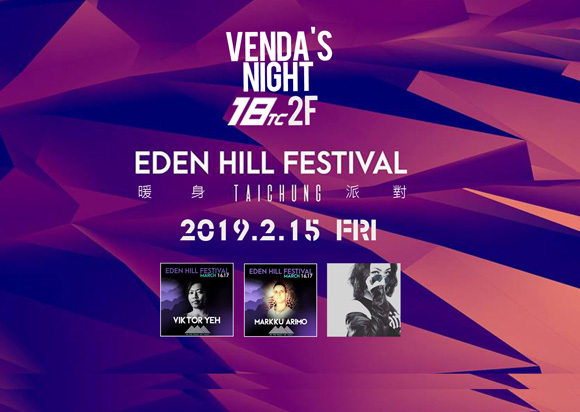 Venda’s House Techno Night presents Eden Hill Festival official warmup party, the largest outdoor musical event establish in the Central Mountain of Taiwan. We invite DJ Viktor Yeh & DJ Markku Arimo and DJ Rao from 18TC. House techno music all night and it’s gonna make you feel like at music festival in Europe!